Despite still being in the honeymoon phase with the smartphone world, OnePlus already has an identity and strong fanbase - but with the OnePlus 3, it's risking that relationship. Don't get me wrong - the new phone is brilliant. It's a truly impressive device with a great build quality, top specs and (most importantly) a superbly low price. But it's still not got expandable memory, instead just offering a single 64GB model. A phone like this has a very specific fanbase: those that want a good experience with top specs but most importantly the ability to customise. You can unlock the bootloader and install whichever ROM you want. The brand realised that the world wants NFC and included it in the latest model, allowing users to not only connect more easily to things but develop clever contactless app and use Android Pay. It was already in dicey territory by not letting you remove and replace the battery, but it's becoming accepted that a day's power and fast charging are good enough to satisfy the masses. "MicroSD is a big ask [from our fans], but it's not a good ask. It's not a good user experience," Pei told us. "What happens if you use it as adoptable storage and remove the card? All your apps get messed up. If you don't adopt it, it can only be used for media. Not the best experience in our mind." I get what he's saying, but this argument is flawed in a couple of ways. (By the way: adoptable storage is the process where you integrate the microSD card into the phone's memory, encrypting it so the handset can see it as internal storage. By doing this increase the phone's capacity, and can use it to store massive apps). So when Pei says that people removing the memory card will mess up the phone… well, he's right. But to create adoptable storage you have to go through a pretty rigorous process before it bonds with the internal memory, so it would have to be a pretty ignorant user that could mess things up that badly. In fairness, Samsung has the same argument on why it doesn't support the adoptable storage on the Galaxy S7 and S7 Edge. But where OnePlus and Samsung differ is their attitude to expandable storage. The South Korean firm realised that it needed to satisfy a need and brought back the microSD slot where it was removed from the S6. Which leads me on to why I believe that OnePlus hasn't added it in: to keep costs down. It's not just removing a component that would add to the price, but making sure that a phone performs well with a memory card contained within takes development, which adds cost. I'm absolutely not suggesting that OnePlus is cutting corners with the phone experience by doing this - on the contrary, for a brand where price matters so much everything is a balancing act, and each component has to justify its existence. But I truly think that this phone is for the more hardened fan, those that loved the Nexus phones when they were supercheap super phones a few years ago. But the one criticism those handsets got? Lack of expandable storage. You can make arguments for getting rid of the support, but ultimately I think it's one of the biggest things that OnePlus fans will be looking for. Our survey suggested that expandable memory was the third biggest thing OnePlus users wanted, with QHD screen and premium design in first and second place. A sharper screen would have added reams to the cost, and the design is definitely upgraded - so the third choice is the most important here. 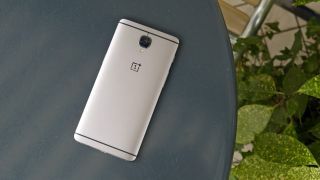 I think OnePlus can weather the storm of not having a QHD screen for one more year as it's a new technology. Expandable memory… well, adoptable or not that's going to be the biggest miss.